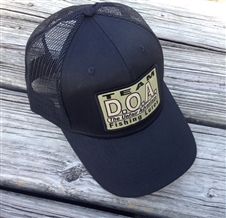 Wear the D.O.A. colors proudly! We offer a full line of custom D.O.A. 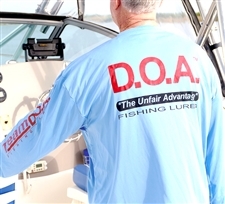 branded apparel: high-quality short and long sleeve t-shirts, 100% microfiber long sleeve fishing shirts with uv protection, hats, visors and uv D.O.A. Hoo Rag seamless tubular bandannas. NEW BOGO - Buy one Get one FREE! Hoo Rag mix or match - you choose. BOGO - Buy one Get one FREE! Blue Water Long Sleeve—now in Dry Fit! NEW - Blue Water Long Sleeve—now in Dry Fit!